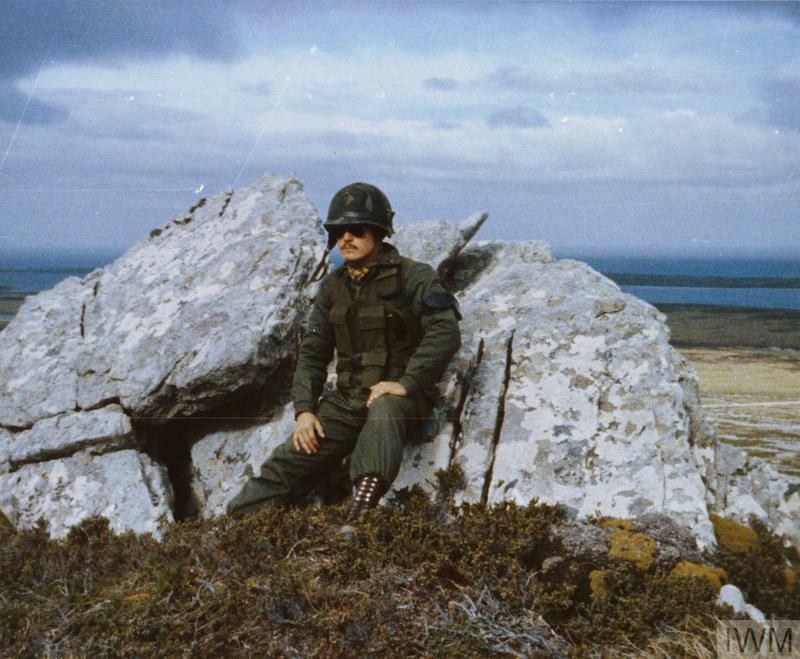 Argentine snapshot showing an Argentine soldier from Batallon de Infanteria Marina 5 (5 BIM) on Mount Tumbledown during the Argentine occupation of the Falkland Islands. 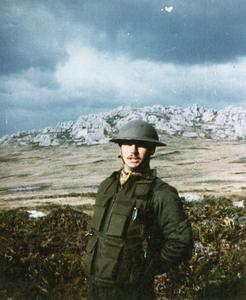 The soldier is wearing a British Second World War style helmet (probably looted as a souvenir from the Falkland Islands Defence Force (FIDF) stores in Port Stanley) and is carrying a Ballestos Molina pistol under his left arm. 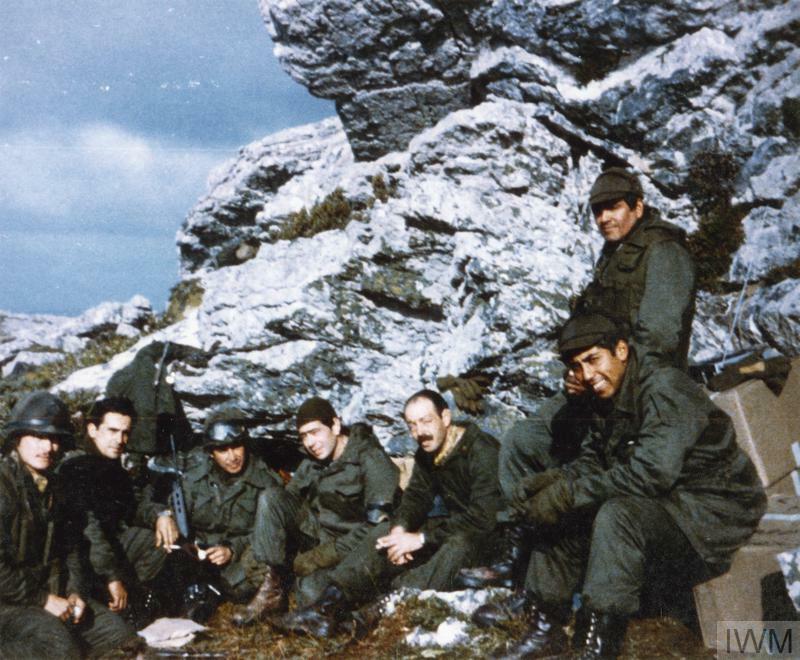 This photograph was one of many confiscated from Argentine prisoners by 3 Commando Brigade Royal Marines Intelligence Section.